DK-21 Eyecup Eye Piece For Nikon D7000 D750 D610 D600 D200 D90 D80 D610 D75A! The Nikon Compatible DK-25 Rubber Eyecup is a soft and comfortable eyepiece shield which minimises the amount of stray light that enters the viewfinder and enables more comfortable viewing. This is a Nikon Compatible DK-25 Rubber EyeCup;. The Nikon DK-21 eyecup is compatible with the Nikon D750, D90, D7000, D610, D600 DSLRs. For use with the NIKON: D750, D90, D7000, D610, D600 DSLRs. This is a Nikon Compatible DK-21 Rubber EyeCup;. High quality rubber eyecup. 1 x Viewfinder Eyecup. Remove the rubber eye cup before use, and then insert the eyepiece cap into the viewfinder external card slot. Made of hollow rubber, it can softly touch even wearing eyes, providing a cushioning effect around the viewfinder, especially for users with glasses. Compatible With : Nikon D7100 D7000 D5200 D5100 D5000 D3200 D3100 D3000 D90 D80. 1Pc x Eyecup. Plastic body cushioned with soft rubber for comfort and protect your eyes. A great accessory for all photographers. Nikon:D750 D610 D600 D7000 D90 D200 D80 D70s D70. You can even view it with your glasses on. Note: The Eyecup is not produce by Nikon but the quality as good as the Nikon's original goods. 5 x DK-21 Eyecup. SUITABLE FOR: NIKON D5200 D5100 D3200 D3100 D3000. For NIKON D100 D200 D300 D90 D80 D70S D70 D60. You can even view it with your glasses on. For Nikon D2 and D3 DSLR series, D4, D3, D3S, D3X, D700, D800, F6, F5, F4, F3HP. 1 x DK-19 Eyecup. 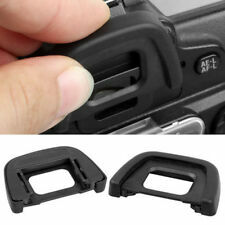 2 x DK-20 Rubber Eyecup Eye Cup Eyepiece Viewfinder For Nikon D50 D60. Suitable Device Type: for Nikon F55 、 F55D 、 F65 、 F65D 、 F75 、 F75D 、 F80 、 F80D 、 D40 、 D40X 、 D50 、 D60 、 D70 、 D70S 、 D3000 、 D3100 、 D5100. Rubber eyepiece increases viewing comfort and prevents the display light input. N55, N65, N75, N80, D50, D70, D70s, D80, D90, D300s, D610, D3100, D3200, D3300, D5000, D5100, D5500, D7000, D7100. This will prevent light entering the viewfinder from affecting the exposure in auto exposure modes. DK-21 Rubber Eyecup for NikonD90, D300s, D750, D7000 1 x FREE Hot Shoe Cover! The rubber eye cup comfortable to use when using viewfinder. The eye cup gives a much better view through the viewfinder and provides protection against unwanted stray light in the viewfinder. 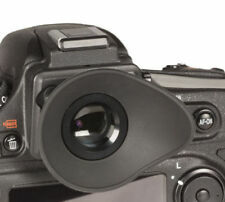 Eyecup can rotate and is therefore suitable for the left or the right eye. Compatible with: Nikon D4, D3, D3s, D3x, D700, D800, D810, F6, F5, F4. Less stray light enters the viewfinder and a less flared, clearer image with which to compose your shot is provided. 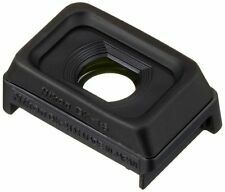 ​1 x DK-19 Eyecup for Nikon. D3400 D3300 D3200 D3100 D3000 D5500 D5300 D5200 D5100 D5000. Suitable for Nikon D7100 D7000 D5200 D5100 D5000 D3200 D3100 D3000 D90 D80. Suitable: for Nikon D7100 D7000 D5200 D5100 D5000 D3200 D3100 D3000 D90 D80. 1 Eyecup. Made of rubber, soft and comfortable. Less stray light enters the viewfinder and a less flared, clearer image with which to compose your shot is provided. The eyecup is made of soft silicone. The ergonomic design will fit your eyes better. The Sony Compatible FDA-EP10 Eyecup is a comfortable eyepiece shield which minimises the amount of stray light that enters the viewfinder and enables more comfortable viewing. High quality solid hard plastic eyecup. Nikon D7100 D300 D300S etc. Pa ckage Content Compatible with Material: Rubber Plastic. For Nikon D750 D610 D600 D90 D7000 D7100 D40 D50 D60 D70 D80 D70S D300 D300s D3000 D3100 D3200 D200 D100 D5000 D5100 D5200. For a more comfortable fit, replace the original one with this rubber eyecup. For a more comfortable fit, replace the original one with this rubber eyecup. Easy installation: They are designed to replace eyepiece perfectly. With superior design, the rubber piece of the eyecup fixes the plastic part tightly. So be easy to installation. Square interface:Nikon D300, D200, D100, D80, D70S, D70, D50, D40, D40X. Eyecup Eyepiece for Nikon DK-23. -New high-quality generic eyecup. - NIKON D300S D300. - 1x Eyecup. - Replaces Nikon DK-23. 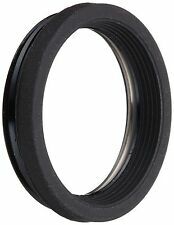 The Hoodman HEYENSG Hoodeye eyecup for Nikon models with square eyepieces is specially designed for the eyeglass wearer. H-EYEN22R HEYENRG H-EYEN22S HEYENSG H-EYEC18 HEYEC18G H-EYEC22 HEYEC22G H-EYEC18L HEYEC18LG HEYES HEYESG. For NIKON D100 D200 D300 D90 D80 D70S D70 D60 D50 D40. This Eyecup is a repalced one for Nikon DK-21 DK-23. 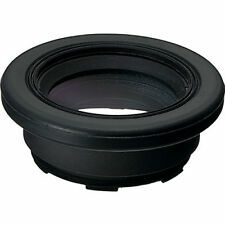 1 For Nikon Eyecup. For NIKON F80 F65 F55 FM10. You can even view it with your glasses on. 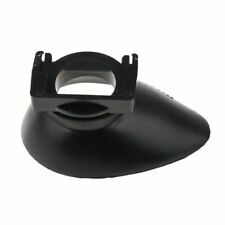 This rubber eye cup fits Penta M, Spotmatic, Cosina/Petri etc. The rubber eye cup comfortable to use when using viewfinder. The eye cup gives a much better view through the viewfinder and provides protection against unwanted stray light in the viewfinder. Compatible Model List : FM, FM2, FM3A, FE, FE2, FA. Select eyepieces are supplied with a rubber coating designed to lessen scratching of a photographer's eyeglasses. This Nikon Finder Eyepiece is compatible with the following models. Nikon D500 Sport, D5, D500, D810A, D810, Nikon D4s, D800E, D800, D4, D3s, D3, D3x, F6, F5, F4. Less stray light enters the viewfinder and a less flared, clearer image with which to compose your shot is provided. Compatible Model List : D5200, D5100, D3200, D3100, D3000, D70S, D60, D50. Nikon DK-20 Rubber Eyecup. Type : Rubber Eyecup. ◈ Oil Catch Can / Breather Tank. ♢ Other Size. EAN : 4960759123947. MPN : 25324. NIKON D7100 D7200 D300 D300S D600 D7000 D90 D80 D70S. 1 x Eyecup. You can even view it with your glasses on. Nikon d7500. Eyecup for Nikon x 1. You can even view it with your glasses on. Lens Hood For Nikon (21). 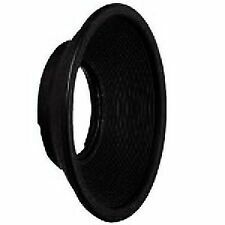 Lens Hood For Canon (32). Flash Diffusers for Flash Guns (9). Tripods & Monopods (53). Block out unwanted light from your viewfinder. Office Supplies. Made of Plastic, durable. Fits Nikon Z6, Z7. The eyecup is designed to seal out stray light for improved viewfinder optics. Made of soft TPU rubber, it protects your eyes from scratches, especially for eyeglass users. The eyecup adopts an ergonomic oval shape to fit your eyes better. 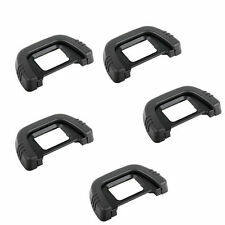 2X Rubber EyeCup Eyepiece DK-25 For Nikon D3400 D3300 D3200 D3100 D3000 D5500 D5300 D5200 D5100 D5000. For a more comfortable fit, replace the original one with this rubber eyecup. You will receive 2X Eyecup DK-25. 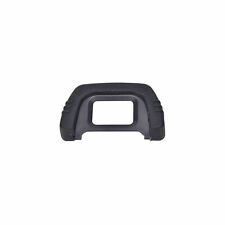 Rubber EyeCup DK-23 for For Nikon D200 D300 D90 D80 D70 D300s. For a more comfortable fit, replace the original one with this rubber eyecup. Rubber EyeCup DK-23 for NIKON x1pcs. NIKON: F80 F65 F55 F50 F60 F70 FM10 D100 D200 D300 D300S D90 D80 D70S D70 D60 D50 D7000 D3000 D3100 D5000 D5100. Nikon FXA10066. FA for the eyepiece. such behavior. Less stray light enters the viewfinder and a less flared, clearer image with which to compose your shot is provided. NIKON D4, D3, D3S, D3X, D700, D800, F6, F5, F4, F3HP. 1 X DK-19 Eyecup for Nikon. NOTE : This item is not manufacture by Nikon. Nikon D3000 D3100 D3200 D3300 D3400 D5000 D5100 D5200 D5300 D5500 D5600. You can even view it with your glasses on. Suitable For. 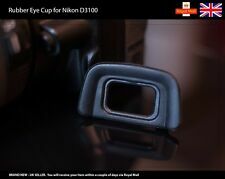 Eye-cup DK-21 fits NIKON: D100, D200, D300, D300s, D90, D80, D70s, D70, D60, D50, D40, D7000, D600.